With a range of 3.7 miles and the ability to measure azimuth, inclination, and speed, the LRB 6000CI 7x50 Rangefinder Binoculars from Newcon Optik offer a suite of tools for patrol, surveillance, and reconnaissance operations. 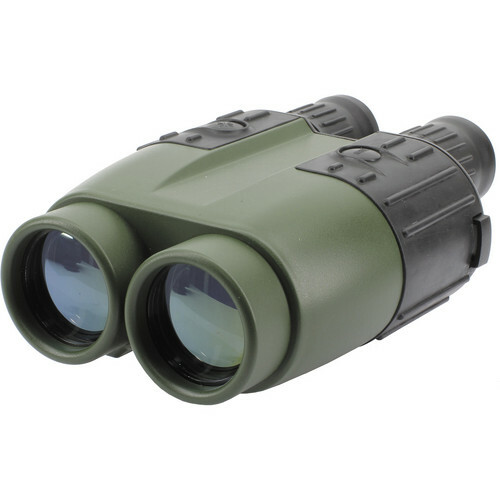 Along with its rangefinding capabilities, the LRB 6000CI is a bright pair of binoculars with 50mm objective lenses and 7X magnification that provide detail at distance without the hand shake often experienced with higher-powered optics. Box Dimensions (LxWxH) 14.7 x 11.8 x 6.8"